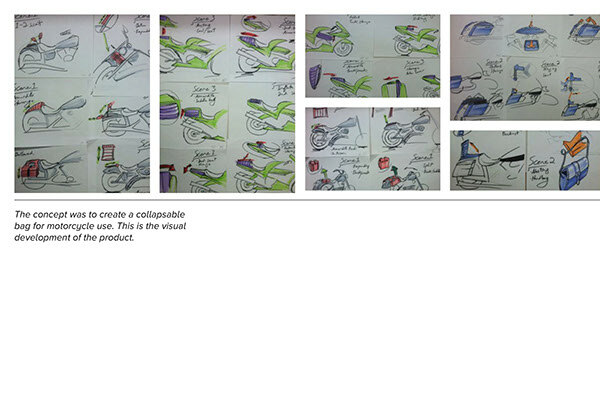 Research an opportunity to develop an innovative product that is collapsable, functioning, and aesthetically pleasing. 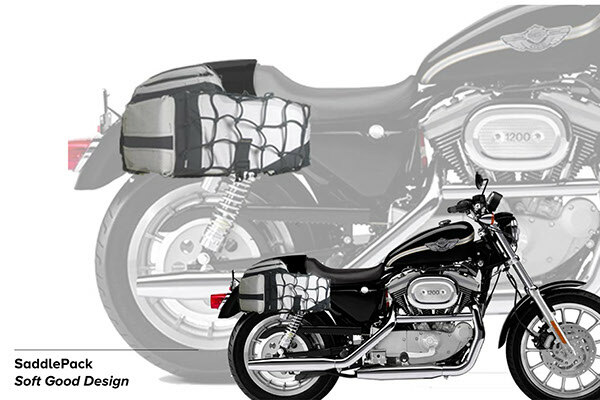 The Saddle Pack is a saddlebag for motorcycle storage that allows two people to occupy a single motorcycle with optimum comfort and storage. 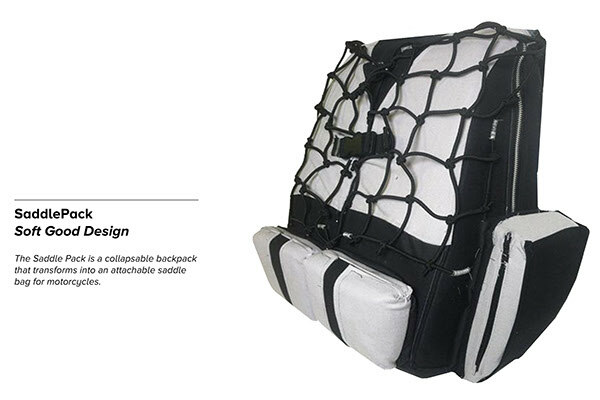 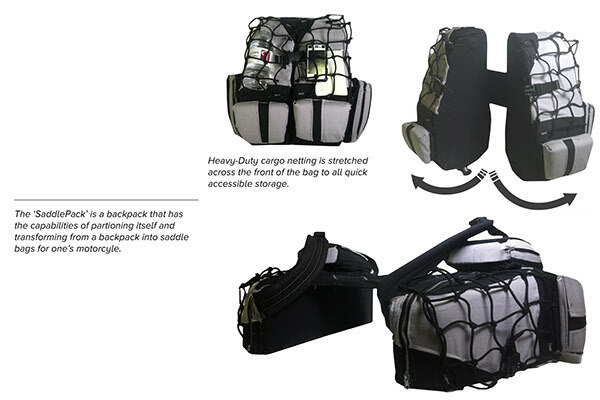 It has the ability to collapsable into a back pack which is then transportable and has the luxury of being securely attached to the user when away from their motorcycle.